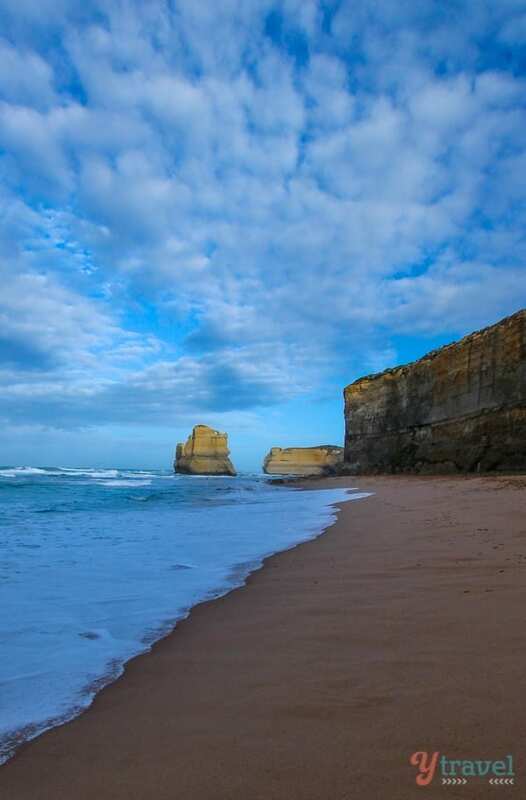 The Great Ocean Road…famous in Australia and around the world as one of the best road trips on the planet. We’ve seen so many photos of the Great Ocean Road trip over the years it almost feels like we’ve done it. But we found out nothing prepares you for the real thing. 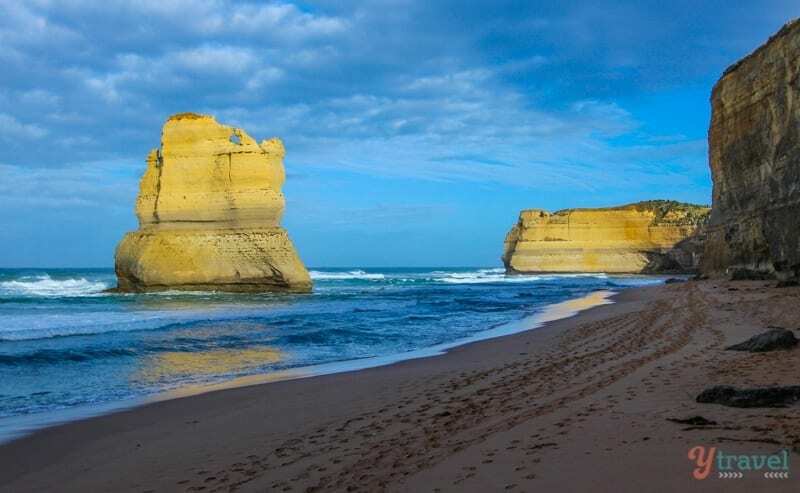 Beginning one hour outside of Melbourne in Torquay, The Great Ocean Road stretches over 250 kilometres to Warrnambool, and attracts tens of thousands of visitors every year. 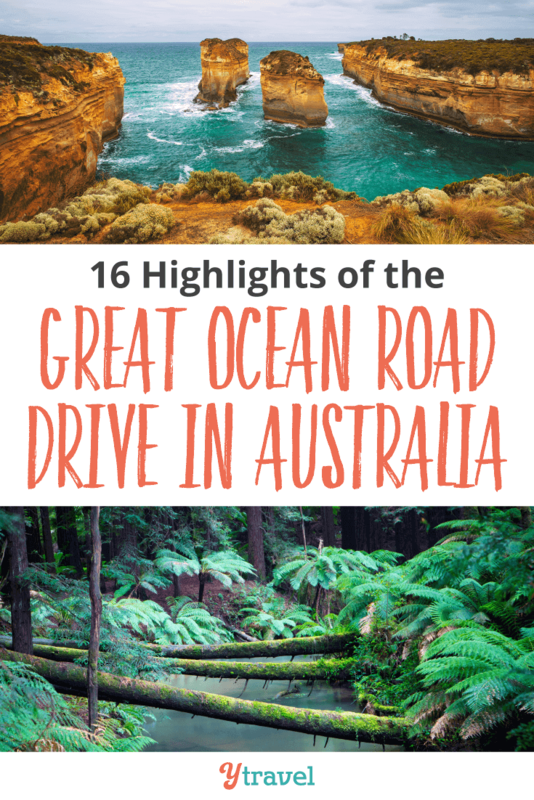 The Great Ocean Road Drive was high on our list of things to do on our one-year road trip around Australia. We were prepared to take hundreds of photos and expectations were HIGH. Whilst the tour buses routinely drive this in one day, crazily, we had time on our side and took two weeks to appreciate the region for what it’s worth. It really is a stunning coastal drive and we highly recommend you place it on your Australian travel bucket list. Just a couple of rocks jutting out of the ocean. Really, what’s all the fuss? 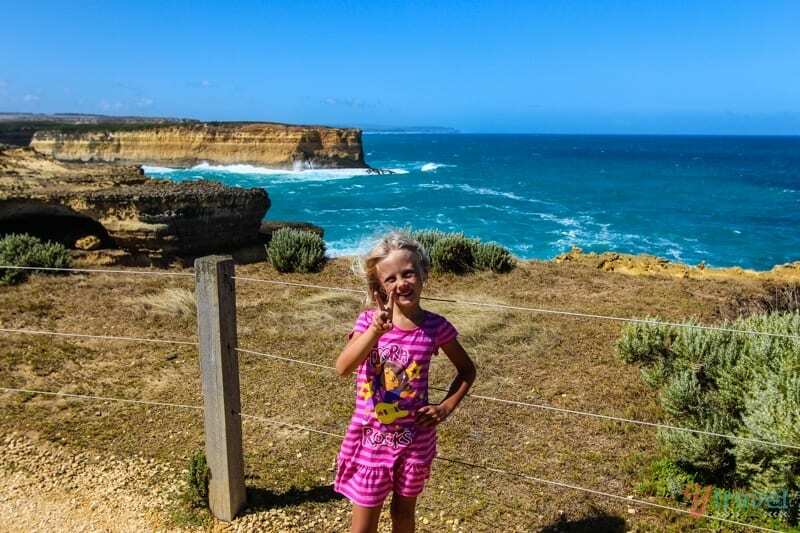 These were our initial thoughts when planning to visit the 12 Apostles on the Great Ocean Road. But the 12 Apostles are the star of the show. We got lucky with the weather the morning we arrived and after all the hype and expectations I’m happy to say we were left awe-struck! These massive limestone structures tower 45 metres above the ocean and were formed some 20 million years ago as the sea gradually eroded the soft craggy limestone cliffs. There are only eight of the twelve apostles remaining (the rest have fallen) and forming the backdrop are these magnificent cliffs up to 70 metres high. Arrive at the 12 apostles for sunrise – you’ll beat the tour buses and have the place almost to yourself. Enjoy a sunset with a picnic or we grabbed a takeaway pizza from Port Campbell. Walk the boardwalks around the cliff tops which provide various viewing platforms. Don’t rush. You may only witness this once in your life. Bring a tripod, use your camera’s self-timer and snap a family selfie. Just down the road from the Twelve Apostles Visitors Centre are the Gibson Steps. Walk down these steps to the beach for a close-up view. Here you can experience a new perspective on the power of the waves and the height of the rocks. You can even touch the rocks and feel how easy they crumble away. Take time to watch the water crashing around the base of the limestone stacks to understand the true power of the ocean and how it’s constantly shaping our earth. Tip for the Gibson Steps: Keep the tide in mind. It was coming in quite fast on us, so don’t walk too far around the corner as you may have a wet walk back. 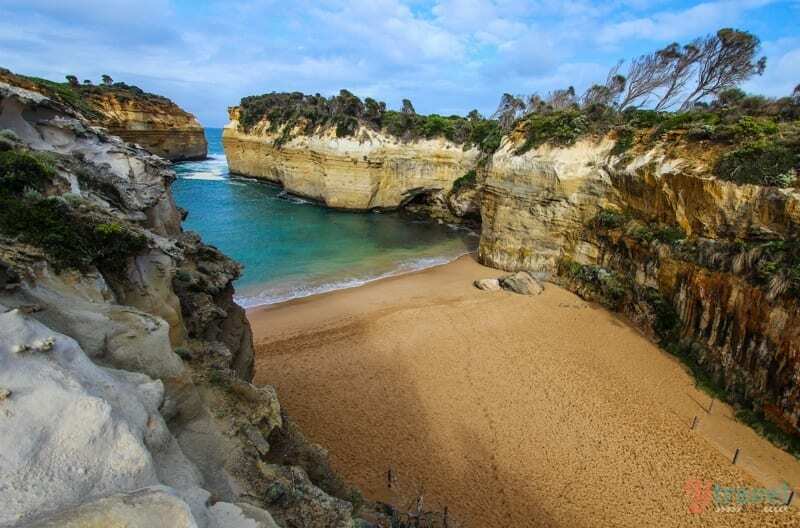 Loch Ard Gorge is named after the ship Loch Ard, which ran aground on nearby Muttonbird Island at the end of a three-month journey from England to Melbourne. Take the stairs down to the beach and sit in wonder. And there are three easy walks you can take to discover the area and getting viewpoints. London Arch was formed by a gradual process of erosion, and originally was a complete double-span and was attached to the mainland. The arch closer to the shoreline collapsed unexpectedly in 1990 leaving two tourists stranded on the outer part until they were rescued by a helicopter. Ha. What a story to tell. 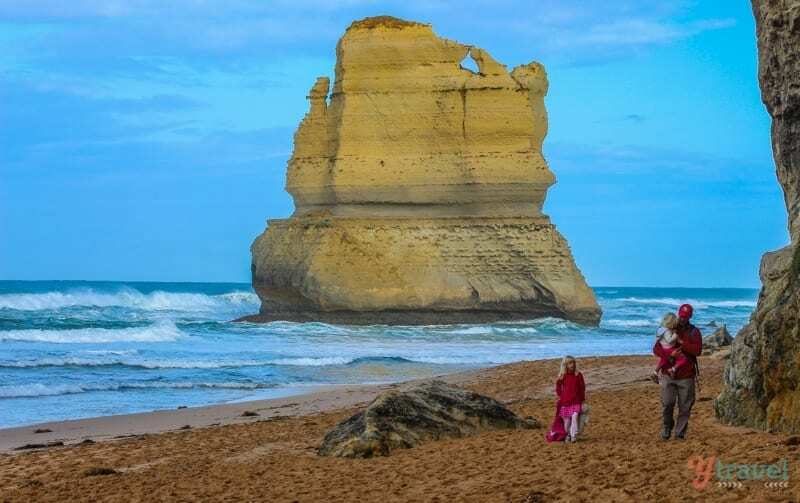 We don’t recommend putting that in your Great Ocean Road itinerary. Prior to the collapse, the arch was known as London Bridge because of its similarity to its namesake. There are three separate viewing areas and the main path branches off to these at different intervals. The Grotto is basically a sinkhole. Take the steps down the cliff face to the bottom and look through and you’ll get visibility of the ocean beyond a pool at low tide. It’s a pretty cool stop on your Great Ocean Road drive. 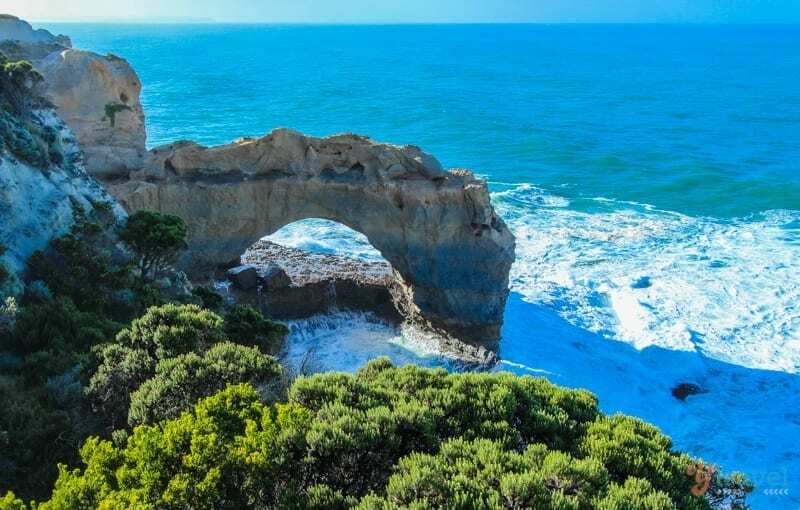 This naturally sculptured arch stands 8 metres high and is located 6km west of Port Campbell. You’ll appreciate the swells and power of the ocean crashing in against the arch, it makes the drama of the place even better. 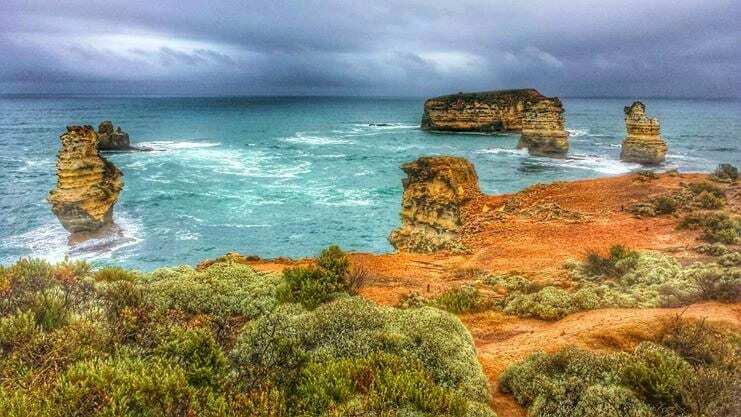 Port Campbell National Park is not just about standing at the 12 Apostles and taking your “I was here pic“. We arrived thinking we’d spend a couple of hours looking at the rocks, we ended up staying all day. The park has so much to offer with cliff top tracks, gorges, beach walks and stories of shipwrecks to discover. It’s truly a fascinating and beautiful park. Don’t be like the Great Ocean Road tour bus masses. 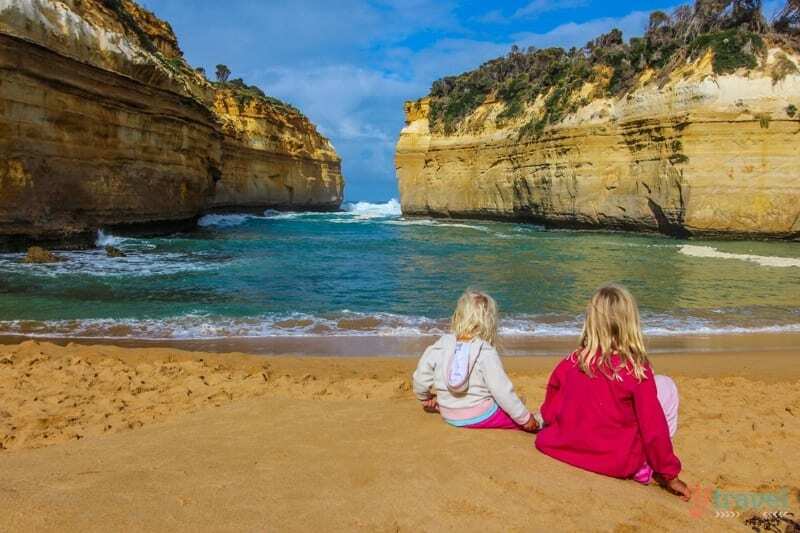 Take your time and appreciate all the sites within the Port Campbell National Park: 12 Apostles, Gibson Steps, Loch Ard Gorge, London Arch, The Grotto, The Arch. The 12 Apostles are not the only magical rocks rising out from the ocean. Head a little further south to Peterborough and you’ll discover the mystical Bay of Islands and Bay of Martyrs. Almost as beautiful, yet rarely talked about in a Great Ocean Road itinerary. We didn’t get the nice weather we had at the 12 Apostles, but it adds to the drama. 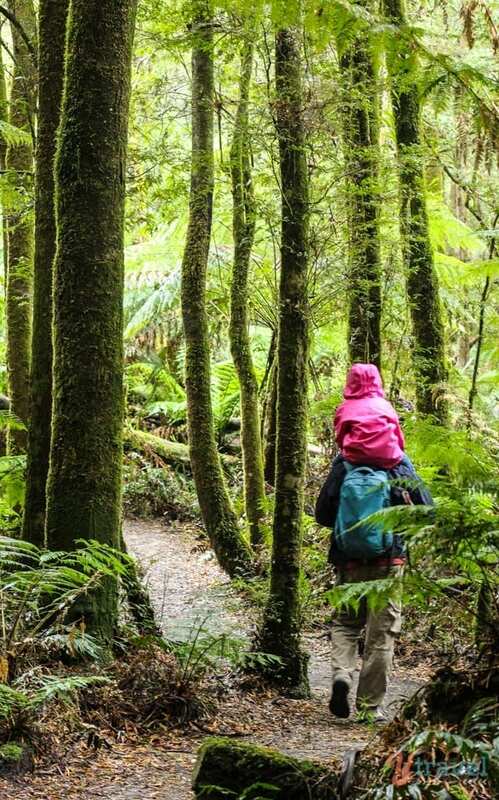 Head into the Otways National Park to immerse yourself in an ancient land. 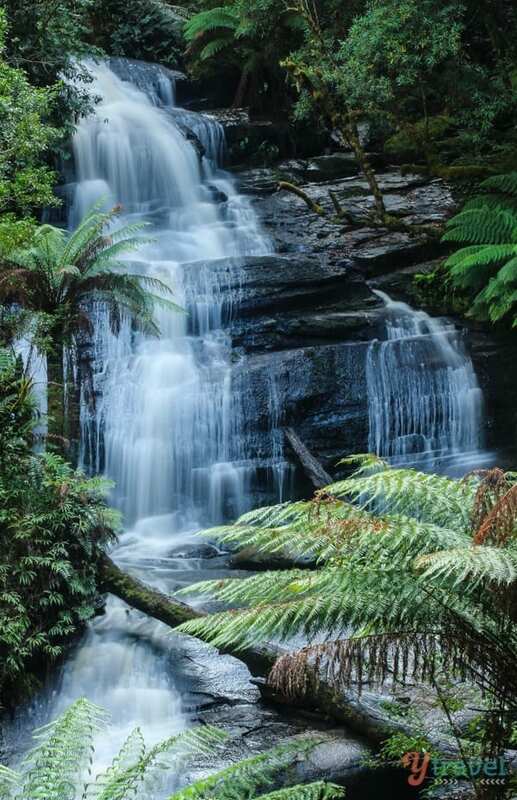 Walk among tall trees and giant tree ferns, and discover beautiful waterfalls. 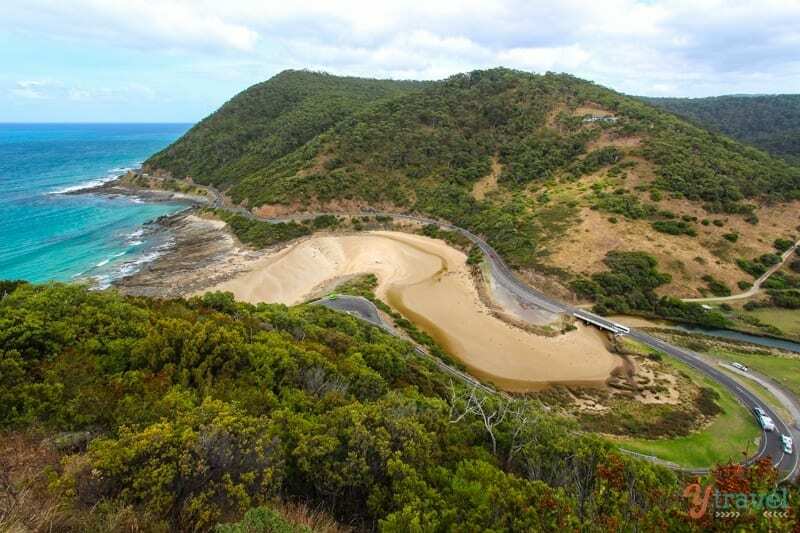 This is the spot on the Great Ocean Road tour to move away from the gorgeous coastline and into a forest perspective. Triplet Falls is one of the highlights on the Great Ocean Road. Platforms provide you with spectacular views of falls. The walk is about a 1 hour return loop, which we did it easily with our kids. Want to see koalas in the wild? The best koala-viewing spot is Kennet River, along the Grey River Road, just in the middle of town. Otway Lighthouse Road is another popular spot. I never knew the Great Ocean Road was a place to spot wild koalas. Yet another great reason to visit the GOR. 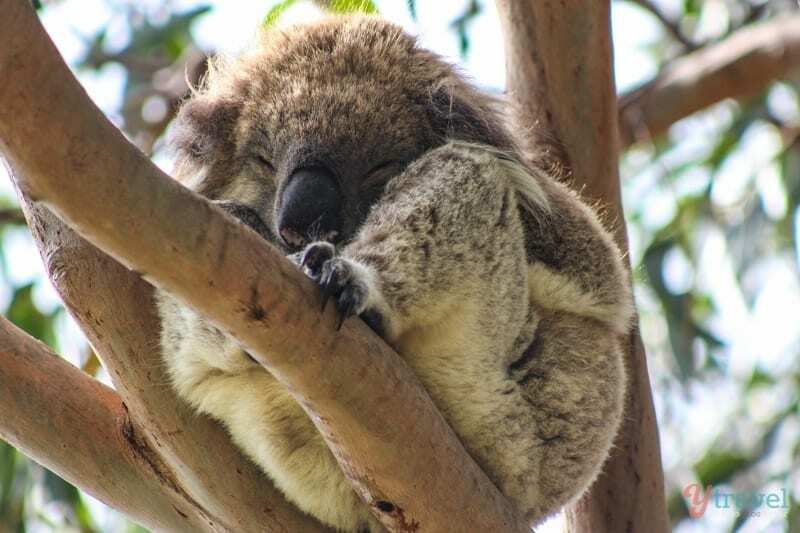 It’s not that common to find koalas in the wild, let alone sleeping in trees by the side of the road or in the middle of town. But this is the Great Ocean Road. Just look for the crowds of people and follow their gazes up for quick koala spotting. 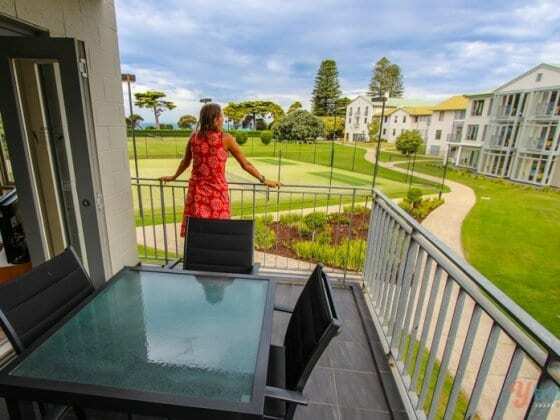 Lorne is a picturesque town situated Great Ocean Road coast and was our favourite town to stay in along the journey. It has a certain charm with great cafes, unique shops boutiques, galleries and Otway National Park is on your doorstep. Lorne is only 140 kilometres south of Melbourne and this place swells with people over the Christmas holidays. 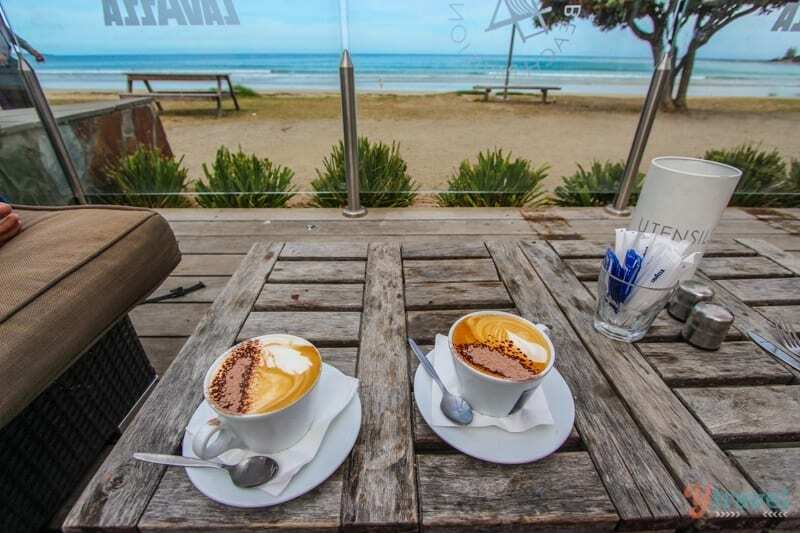 Enjoy a walk on the beach, a bike ride along the foreshore out to the pier, have a coffee at Lorne Beach Pavilion and try a burger from The Bottle of Milk – delicious! We stayed at the Mantra Apartments which were awesome and right on the beach. A short drive up the hill behind Lorne is Teddys Lookout. 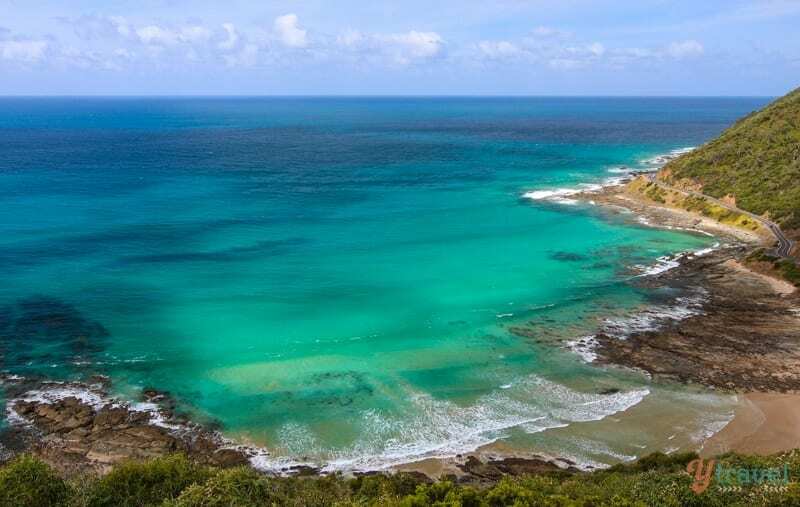 Drive up to the picnic area at the end of George Street and walk a short distance to enjoy the spectacular views of the Great Ocean Road from the lookout. There’s also a 45-minute walk you can do here. Our favourite stretch of road on our Great Ocean Road tour was from Lorne to Apollo Bay. Be prepared to stop for photos a lot. This stretch of road has some of the most picturesque scenery in the region. 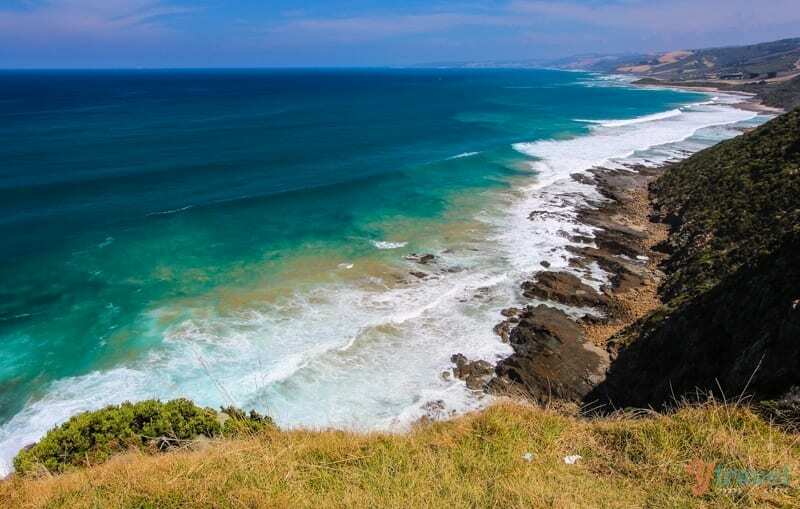 The Great Ocean Road hugs the cliff-face as it winds through the Great Otway National Park and rolling farmland. 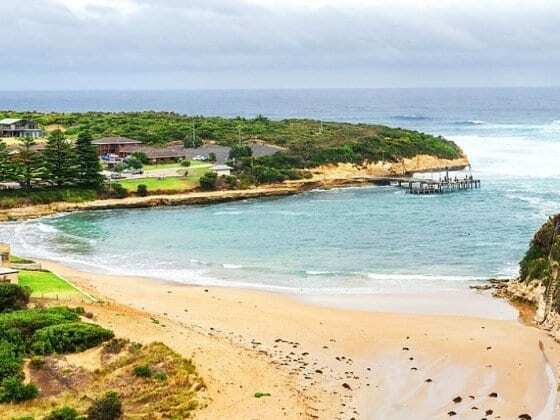 Apollo Bay is perfectly positioned about halfway along the Great Ocean Road and surrounded by Otway National Park State Forest and rolling acres of green farmland. Looking for an affordable and family friendly place to stay? The Apollo Bay YHA Eco Hostel was a lovely place to base ourselves for a few days. The hostel has a very homely vibe with great kitchen facilities, lounge rooms and a rooftop deck to enjoy a sunrise. This is not a party hostel, no YHA properties are, and we met a lot of nice families and solo travelers here. 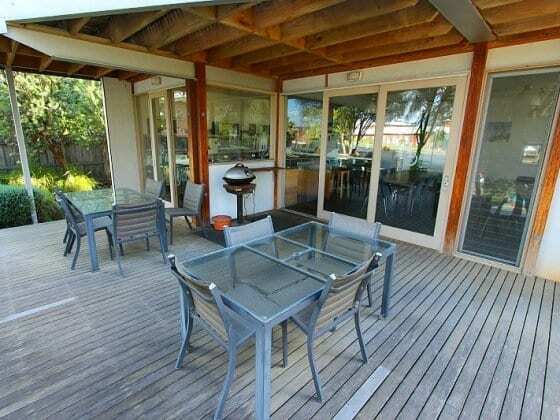 It’s a wonderful option for your Great Ocean Road accommodation. Our family room consisted of a queen bed and bunk beds. 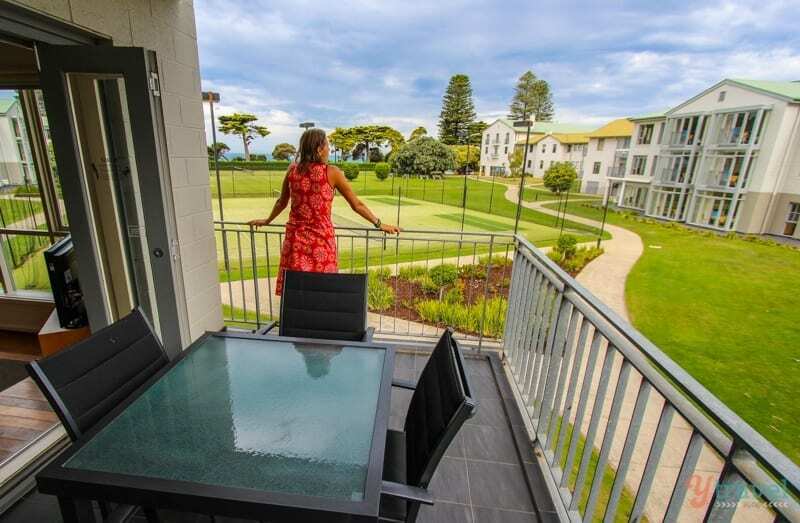 Panoramic views of Apollo Bay’s town centre, the harbour and beaches up and down the coast can be enjoyed from the Mariners Lookout, located at the northern end of town off Mariners Lookout Road. 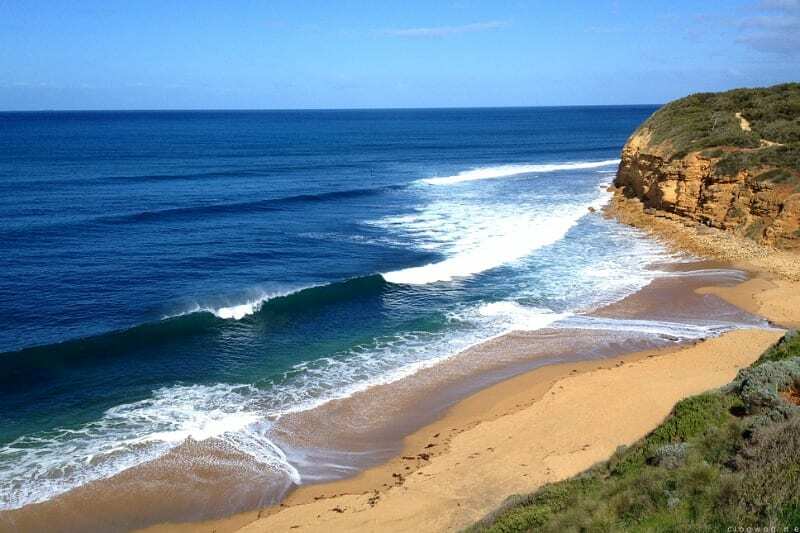 Bells Beach is one of Australia’s most famous and best surfing beaches. Bells Beach holds the annual Rip Curl Pro Surfing Competition and is the powerful point break of folklore. Heard of the movie Point Break? That’s our Bells! There’s an impressive cliff-face and views from the cliff-top car park are spectacular and great spot to watch any local surfers. All dedicated surfers want to get down to the Great Ocean Road to ride the same waves that the pros do at Bells. 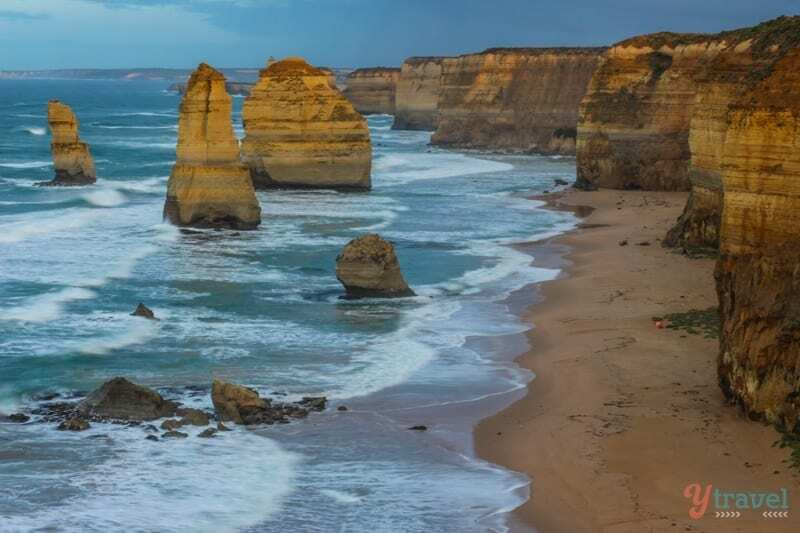 DON’T do the Great Ocean Road drive in one day – Don’t just rush to the 12 Apostles for your tourist snap. Slow down and appreciate all it has to offer. Visit all the rock formations and towns, walk on a beach and in the rainforest, see a waterfall and wildlife, sit at a lookout and be present. I would suggest 3 days minimum – we took 2 weeks! If you only have time to visit one section on the GOR, spend the most amount of your time in Port Campbell National Park. If you only drive in one direction, drive from Torquay to Warrnambool (East to West). That way you’ll be on the left side of the road closest to the ocean and you’ll be able to pull over easier to all the viewpoints. 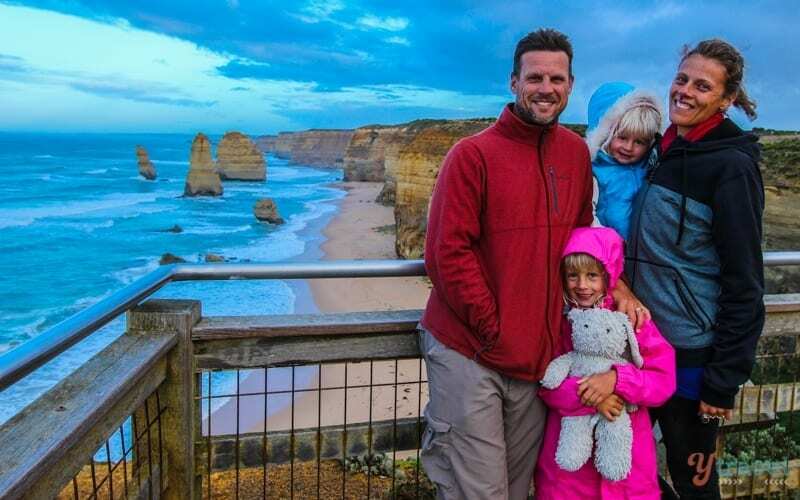 If you can drive, drive your own car or rent a car from Melbourne instead of taking a Great Ocean Road tour. This road needs to be experienced from behind the wheel, and you need flexibility in where you stop and for how long. At each , turn you’ll discover something amazing. You may want to rent a unique caravan, motorhome or camper to drive the Great Ocean Road. Outdoorsy is like the Airbnb of camper rentals, and they include insurance! Click to find deals from Melbourne. Fuel up your car – there can be large distances between petrol stations, so make sure you fill up. 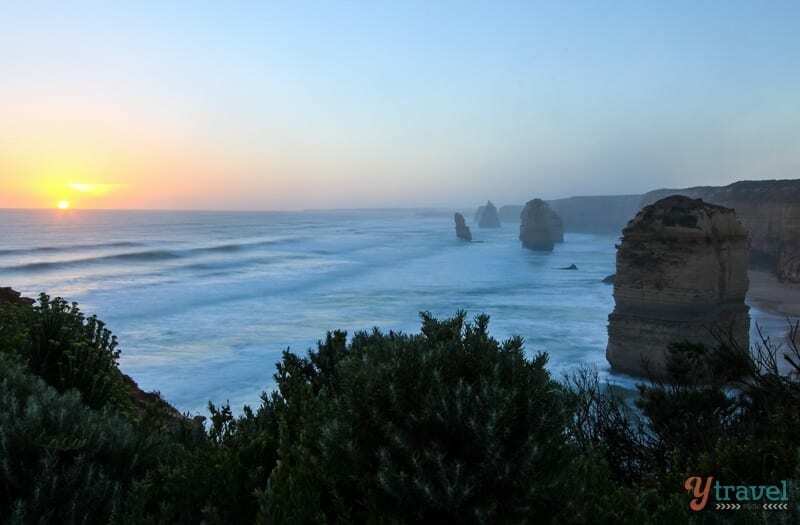 If you do have to take an organized Great Ocean Road tour, we recommend these ones through Get your Guide. 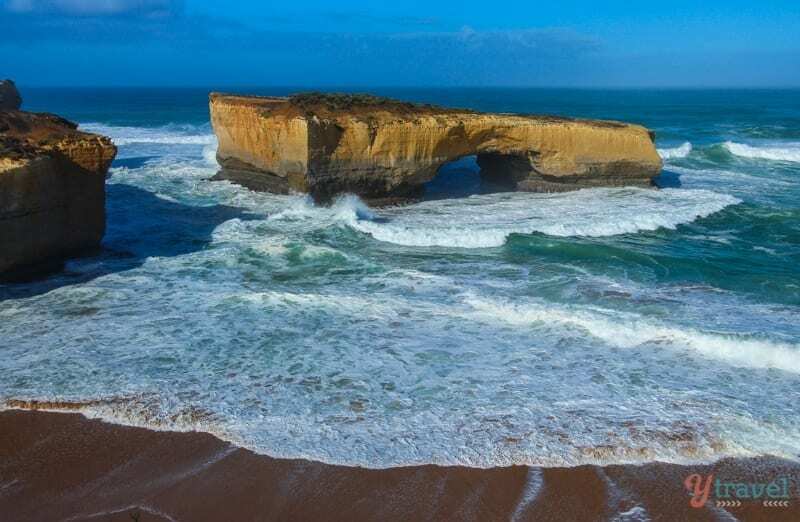 Booking.com has over 200 properties along the Great Ocean Road including hotels, apartments, motels and hostels. You get free cancellation on most rooms and a best price guarantee. You may also want to rent an Airbnb along the GOR. Click here to find yours. RentalCars.com is the world’s biggest car rental booking service that compares all the major brands like Hertz, Avis, Alamo, and Europcar and has rental cars at Melbourne airport. Or rent a camper or motorhome from Outdoorsy. 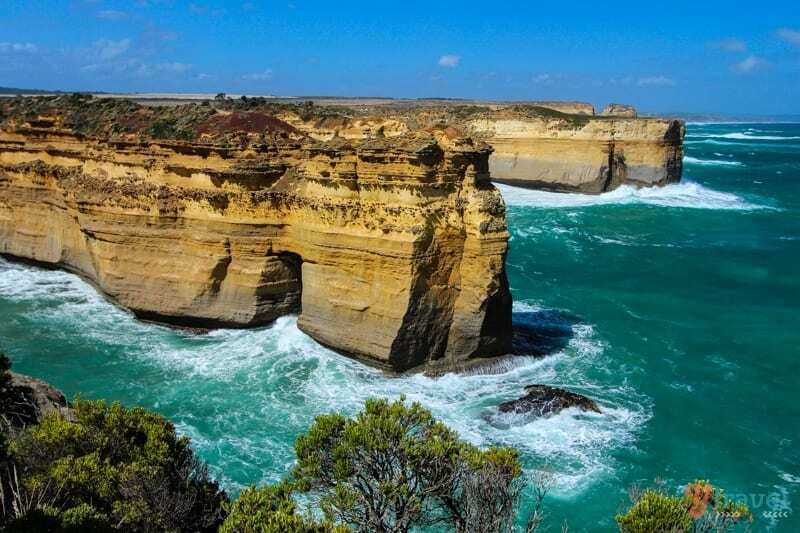 Have You Visited the Great Ocean Road? Tell us in the comments any tips you have, or what you most want to see? Oh, I love the beaches and the blue water! And your babies are so cute, thanks for sharing these pictures and tips! Btw, you can also use selfie pod or commonly called monopod, for me it’s more convenient to use. Hey Marie, plenty of beaches around every turn. Hope you drive it some day! I wish I get a chance to go there again! We did Great Ocean Road on a guided tour bus and as expected it was like ‘blink and it’s gone’ kind of a experience. When we lingered a bit longer at the 12 apostles, we were scolded by our guide! Oh no, I would hate that. Sounds like the Grand Canyon tours where you get 15 minutes. Come back! 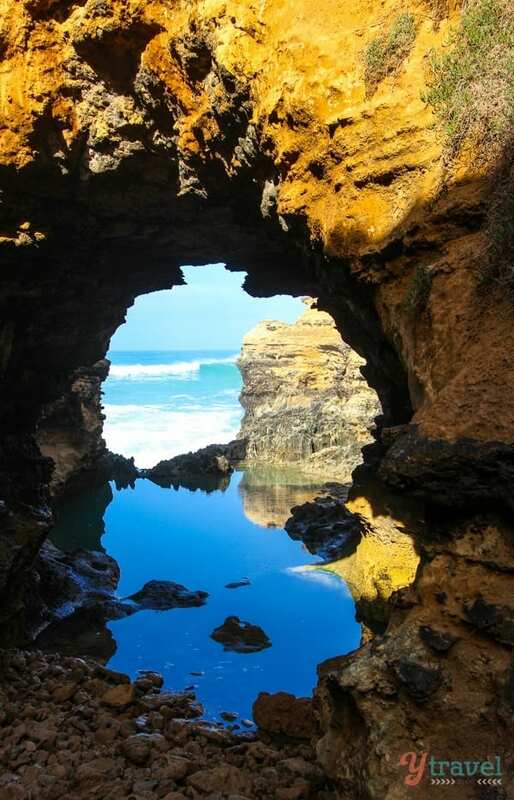 Your photos of the Great Ocean Road are amazing. It brings back very happy memories of two trips that I have taken on the road. We camped at a fantastic little remote surfing beach called Johanna which was incredible. We went to Johanna Beach Kathy, but the weather was a bit wild that day. is it recommended to do cycling from Torquay to Warrnambool? how about camp ground? I’m sure you could cycle the Great Ocean Road, depending on your fitness and experience. The road can get a bit tight so watching the traffic would be a concern. 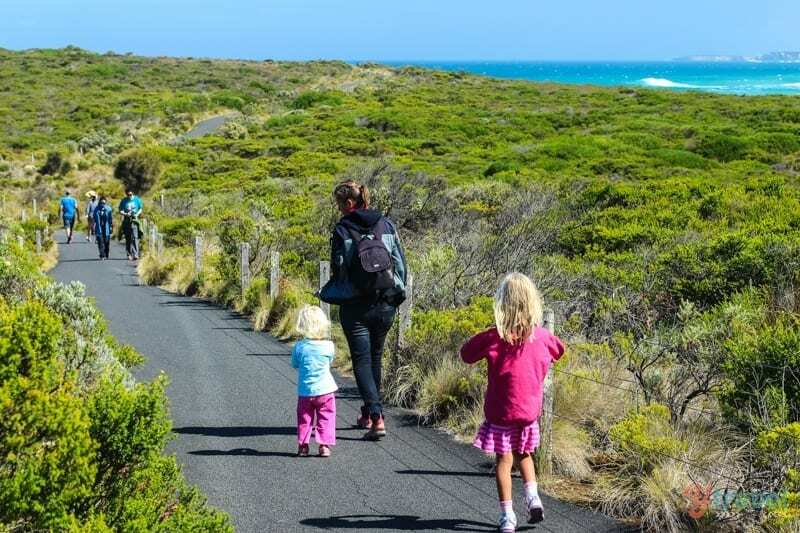 You can safely cycle, enjoying a fully-closed Great Ocean Road in numerous events for professionals, amateurs and families. Cycling the Great Ocean Road has become more and more popular in recent years with the Cadel Evens Great Ocean Road Race (Cadel’s current Australian home is in Barwon Heads), The RACV Great Ocean & Otway Classic, Amy’s Otway Tour Classic (where Australia’s best female cyclists compete) and Amy’s Gran Fondo, which has 3 races (110km Wiggle Amy’s Gran Fondo, 40km Australian Unity Medio Fondo and the 14km Australian Unity Family Fondo) with a focus geared more towards families and enthusiasts then professional riders and a major focus on safety. There are also plenty of mountain bike trails. Just make sure you wear an Australian Standard bike helmet at all times (legal requirement in Victoria) and bring plenty of drinking water. One of my favourite parts of the world. I’d love to go back soon and show my husband the place that played a big hand in starting my travel obsession when I was a kid. Looks like you guys managed to cover it all and you’ve got some great shots. Almost covered it all Jen but I believe we saw most of the highlights. A few other places we’ll have to get back to. Amazing photos!! I’m totally inspired to make a family trip out of this, none of us have been to Australia yet. It looks like you did a combination of camping and hotels/hostels, correct? Is that what you would recommend? Thanks! Thanks Sarah. Glad we’ve inspired your trip! Looks great! Can’t wait to explore it on our road trip around Australia. Love the photos, they really bring the journey to life. P.S. Did you receive our email? Definitely ad the GOR to your OZ itinerary. And give yourself a few days at least. Let me check on that email – what was the subject line? I sent it via the contact form, so I can’t remember and have no way to check. But it was on the 18th of April and it was inquiring about whether you’re still taking guest posts from travel bloggers on your website. I’m sure ‘guest post’ was in the title somewhere. 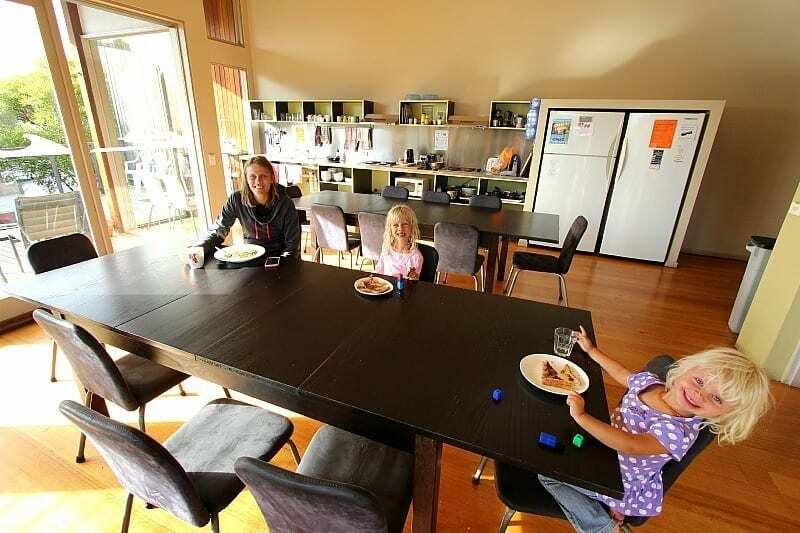 That eco hostel in Apollo Bay looks really nice! None of the YHA hostels I’ve ever stayed at in the UK were that nice – all characterless, sterile places. Yeah as I mentioned it was very homely and of course Eco. Really enjoyed it. Breathtaking beauty. The 12 Apostles is quite something, very spectacular. The initial thoughts on them is that, they are a must visit. wow you are a GREAT photographer!! amazing shots. I’d love love love to go there! This post came at the perfect time – I’m in the middle of planning a trip to Melbourne and the GOR in June! I’m a little concerned about the weather in June, but hopefully we luck out and have some sunny days. Thanks for the great tips! Amazing post! I think that you are great photographer. Now i want to go there. I can’t wait now to miss beautiful places in the world. Fabulous list as always guys! This was one of my favourite drives as well! Sadly it seems we missed Teddy’s Lookout (boo!) and we didn’t get a chance to go down Gibson steps and onto the beach as it was raining so heavily. Would love to go back again in a year or two. Yeah, we got real lucky with the weather at the Twelve Apostles. And over the 2 week period we can’t complain, had a few showers in different spots but otherwise great. Loch Ard Gorge was awesome. 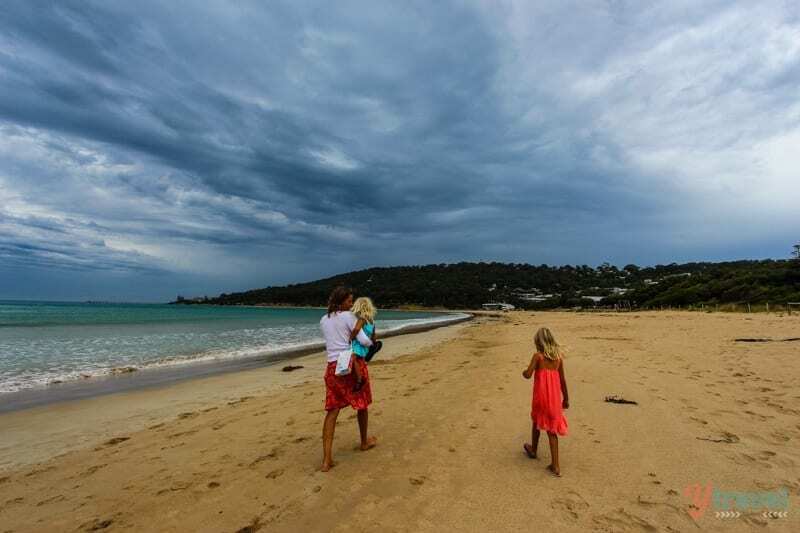 Such fabulous photos, that road is on my list of things to do in Australia when my little guy is bigger. I had never heard of a few of these spots (don’t tell my anyone) so it was an extra great read. Absolutely gorgeous and definitely one of the best drives in the world. I can’t wait until I can drive the Great Ocean Road – Your country holds so many wonders to experience. I’m lucky enough to have driven from Darwin to Sydney and Wollongong up and yet I know I could spend years in Oz continuously on the move. Thanks for an interesting, inspiration, informative and family orientated post! This is a great post guys! The Great Ocean Road was my favorite part of my Australia trip! I wish I would have known about Teddy’s Lookout. I only had one day to do it, but thankfully it was not on a bus tour, but with a local who took me to beaches that buses do not stop at. I WILL be back to do it again and I agree that the drive from Lorne to Apollo Bay is incredible! Thanks for the tips. Been here twice and still want to come back. In the years I went, I was a backpacker and did those trips out of Melbourne for a day which I now totally regret, obviously. Great to see your pics that definetely brought back some memories! Australia is so BEAUTIFUL! I really like this post, because I think most people hear “Great Ocean Road” and only think of the Twelve Apostles. You’ve proven that there’s so much more to see! I was shocked at how much more it offers. I thought it was just a couple of rocks too! I would love to take this drive–looks gorgeous!! I can’t imagine trying to fit everything into one day on a tour bus! The Grotto looks beautiful and it would be so fun to see a koala in the wild. 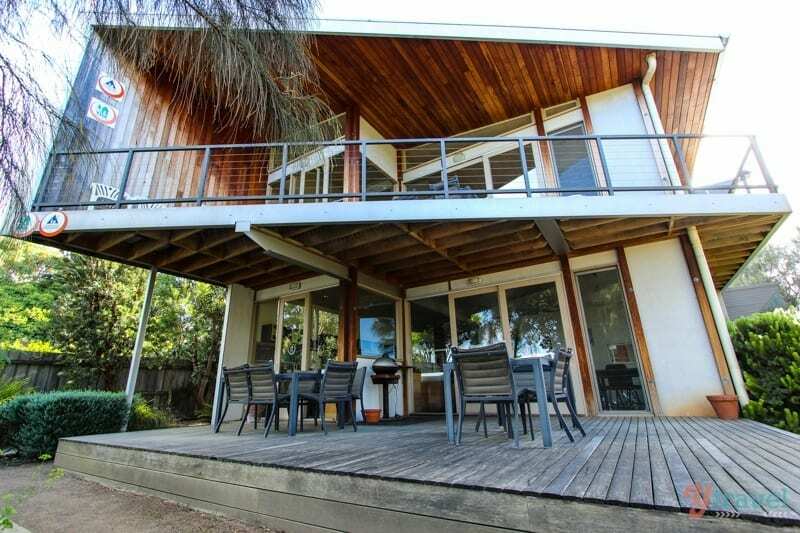 The Apollo Bay Eco Hostel looks great as well! You have travelled an amazing part of the world, and one of my favourite. Fantastic information and incredible pictures. If you live in Victoria and you haven’t been along the Great Ocean Road, especially around Port Campbell, then make sure you do. The views and the feeling of awesome is amazing. Stay in Port Campbell as it’s a beautiful place to go. My husband and I went to see the 12 apostles when I was pregnant with our first child. He is now six. Can’t wait to take our kids back there and spend more time there. I know they’ll love it. I knew this was one of the must do drives in the world and I read about it several times. But you have done justice to it with this great post. Incredible pictures and nice tips. This drive will definitely go on my bucket list. Thanks. Love your photos and reading about your experience. This is something I definitely need to do and take the time to enjoy, like you recommended. I was glad you put ideas in this post about experiencing it from your own point of view and not just as a tourist snapping a quick picture. I’ve got to see and experience this in my lifetime for sure! i love your blog, give me so much idea to adventure Great Ocean Road, did you put up a night at Port Campbell ? If yes, where did you stay ? Probably, i will travel using inner road to Port Campbell so that i can enjoy sunrise at 12 Apostles next morning.. Yes. We stayed at the campsite in Port Campbell. You can camp or they have villas. You are right ,don’t rush it because two people from the Uk thought the GOR was uninspiring.The weather wasn’t good .The lady wasn’t well and after seeing the West Coast of New Zealand with her partner ,they kept comparing too much.They needed more time to explore the region and then they would appreciate it more. Hi, Thanks for the very nice picture and good tips on GOR. Did you also visit Mornington Peninsula and Yarra Valley or the Dangenong area? We had our best holiday so far and one of the highlight was our great icean road long drive… the view and the scenery was awesome.. we just went there just this month and my hubby who is a beach enthusiast wants to have another holiday there… your pics are all awesome! OZ is a beautiful country with beautiful people and lovely sceneries. How was it in July? We are planning a winter holiday and so much of info on Australian tourist presumes a summer trip. Your welcome Vikki. Enjoy the GOR! Wow wow wow, I am doing this pretty soon. We drove upto Torquay but didn’t hit 12 apostles or even close. Hoping next time I drive all the way and also stay somewhere on the way :D. I hear you can even camp somewhere? Is that true? I have been doing some research about campings and as far as I know, you cannot do free-camping. There are plenty of camping aareas with low prices if you don’t use electricity (around 15-25$ per night), that’s it. My daughter is studying abroad in Australia and is talking about doing this by herself. Would this be safe? She wants to drive from Townsville to Melbourne. Any tips/advice would be greatly appreciated so I can pass it along to her. Yes she’ll be safe as long as she’s making safe choices. We have lots of posts on the blog for the East Coast of Australia. You can use the search box on the site to help you find what you need. Thanks, it inspired me to go and I loved it. I’ve been a reading a handful of your travel blogs. I very much like that your love for Australia comes through in every one of them. I followed your blog when I was in Byron Bay! It was great to read the blog and see pictures before even going. Great tips! Now I’m planning my trip to the GOR and was wondering if you would recommend doing the whole trip from Torquay to Portland. I’m a little short on time and know that that the little time I have won’t do the GOR justice. Therefore, I am thinking of doing just a stretch rather than the entire GOR. Any places in particular you would recommend? Any thoughts from you would be appreciated! Thanks for sharing all the photos & tips. This is such an awesome post! Thank you for sharing. I want to do a 3 or 4 day self drive of it in October…Do you have a suggested itinerary on how to break it up based on your recommendations in the post? (Hitting the Apostles at sunrise is a must to me based on your photos.) Thank you! Horse riding is another good thing to add to the list. We recently did a great ride with Blazing Saddles in Airey’s Inlet. They have bush rides and go down to the ocean beach and have a canter. Well run with great horses… I even bought one they were needing to sell! Great. Which month is the best for that road? I’m planning to visit GOR (2 days 1 night) in this coming Sept, I will be renting a car to drive from Melbourne city. Can you recommend / suggest how should my itinerary and where should I stay (budget accommodation)? Great guide! Was planning my road trip when I came across your guide. Can’t wait to embark on it! Glad to hear it. Hope you enjoy your road trip along the Great Ocean Road Zeejay! Thanks for all these tips. I am doing the GOR at the end of August, I have rented a station-wagon for 8 days. Since is low season I did’nt book any camping.. the idea is to improvise using a “must” list. I am thinking about going the the Grampians national park on the way back… not sure. I am not at all an experimented driver, and less on the left. I got an automatic car and my idea is to take it easy. I am a bit concerned about the weather at late august…what do you think? any tip? 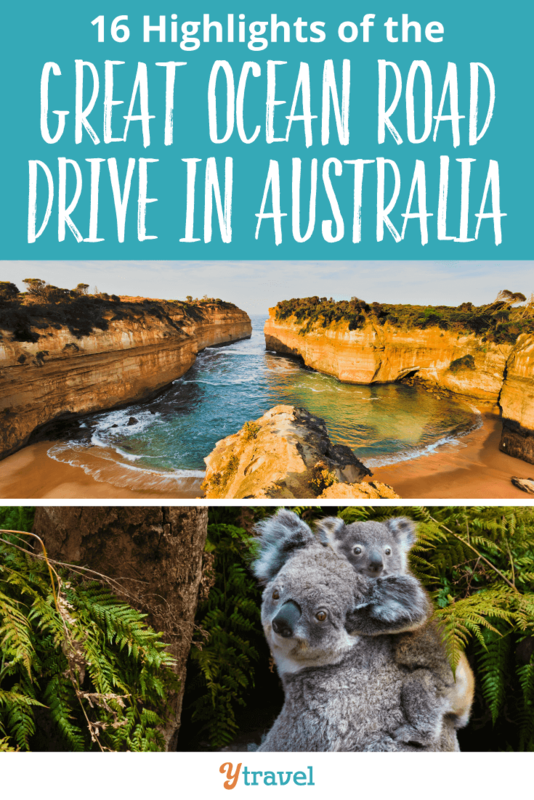 Great Ocean Road is a awesome place to visit and this blog has been really helpful!! all photos are excellent, thank you for sharing with us. Thanks for your list, it was extremely helpful in planning our trip to the GOR. Unfortunately we only had 9 days in all of NSW, Victoria, and the Red Center, so we had to fit this destination into one day. I agree it’s a shame to pack it in to such a tight space, but if one is an experienced driver, it makes for an amazing day. I will always remember it. I hope very much to return with more time to see the things we missed. 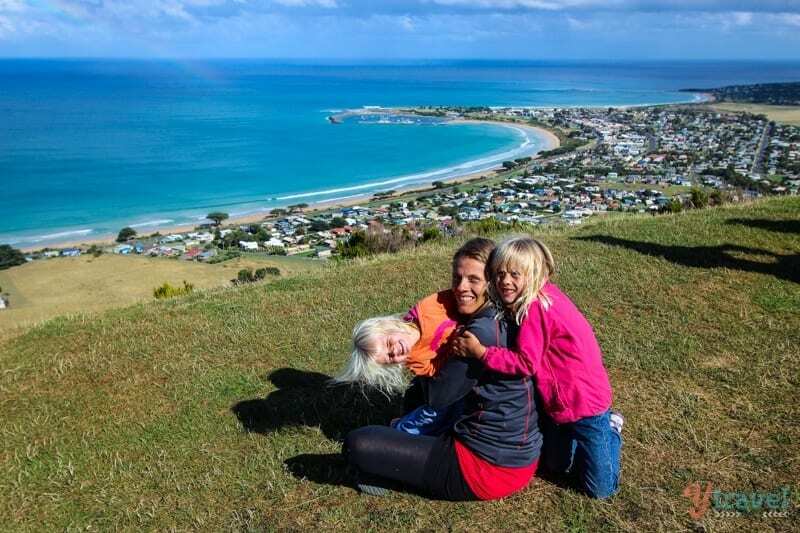 One thing we very much enjoyed, which is not on your list, was a drive up into Barnham Paradise near Apollo Bay. If time is very tight, like it was for us, this is a great way to get off the coast road and experience a bit of the nearby forest. Great tip Curt. Thanks for letting us know. We’ve not heard of this place. I’m glad you got to experience it and had a wonderful time. What a busy trip for you! I have just come back from a 17 day holiday in Oz. The Great Ocean Road was probably the highlight of our holiday. We spent 3 nights in the resort of Lorne and only managed to do three quarters of the main highlights. Would love to do it again but take in what we didn’t see on first trip. Glad we did it as was well worth it. Awesome Patricia. So happy to hear you loved your road trip and hopefully you get to come back and experience more! Your post on GOR highlights is great, so great that we plan our GOR road trip based on your route. Thank you!! We are trying to do early planning to rent car in Melbourne, anticipating the popularity of GOR in the Summer. So far, we have been checking out the rentalcars.com, the price is great, but the online reviews are discouraging. We have never used any booking service for Auto Rental. Can you please share your experience with them, and some guidance to avoid any dispute/extra charge ( which lots of costumers seems to be having). We haven’t had any issues with them personally, and have used their site to book cars in the US several times. When you make a booking, make sure the pick up address for the vehicle is at the airport in Melbourne, or you know it’s a location that is most practical for you! Also, read all the fine print for any extra charges, and print out any paper work displaying your booking info, type of car, insurance costs, fees etc and have that on hand when you pick up the vehicle so there are no surprises or disputes. RentalCars.com are owned by the Priceline Group, so they are a big company. We will be traveling the GOR, starting in Adelaide and traveling to Melboune. We intend to take three days to complete the drive. Can you recommend a few towns to stay along the way, so the drive will be broken up nicely for the driver(s)? You mention Apollo Bay, Lorne, Robe and Port Douglas as being great towns to stay, but I am not sure if splitting the evenings between these towns will make the drive (hours) easier. Thank you for any feedback you can give. Great tips! We will be travelling the GOR in April and can’t wait to explore and enjoy. Thank you for sharing. Hi! Thank you for all the info, amazing pics. I wanto to go there, which time of the year would you recommend? Nice post. We’re going to Australia in November for a full two weeks. We ‘ll visit Sydney, then fly to Alice Spring, and after that, we were thinking to fly to Adelaide and drive from there to Melbourne, for the Great Ocean road. Is it doable? We can plan 3-4 days for this. Our flight to go back to Canada is actually from Melbourne. Or is it too much? Your blog really helpful and i love the way you explain the places. my sisters and I are in the midst of arranging our itinerary for this coming September, we will arrive in Melbourne by 25th. Can you provide other places that we could visit for 7days in Melbourne? Hi. I love your blog and pictures. Could you share with me your driving route for GOR, covering all the places you mention here? Planning a holiday for my family. Thank you. We started at Melbourne and ended in Port Campbell. It’s only one road so you’ll be able to easily find the stops we mentioned in this post on the map. We then went up to Grampians National Park so returned to MElbourne through the center of the state. Thank you for posting all of this info! I am heading to Australia to visit my daughter who is studying abroad and you provided such great info about the Great Ocean Road and everything to see. Thank you!!! I cannot wait to see that gorgeous water and coastline in person. We’re so happy to help! Enjoy your time with your daughter. Great article. I’ve seen most of those, except Gibson steps, because you have to park on the side of the road, which is dangerous in itself. But for us the side of the road was full. Nowhere to park unless you want a long long walk. Better luck next time.